We are currently seeking a person with an engineering degree/background to take up the role of Technical Director – Façade, based in our Melbourne office. 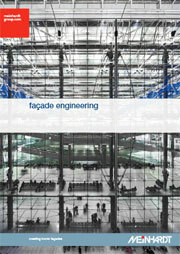 Having a well-rounded knowledge in façade consultancy with a strong structural engineering background. We are looking for someone with 8 – 10 years working as a structural engineer either as a Façade Consultant or for a major Façade Contractor. The ideal candidate would be currently hold a position as a Façade Engineering Manager or Senior Façade Engineer looking to progress in the industry. Having a strong desire and interest in business development, to joining our Melbourne based team. The role is ideal for a highly motivated candidate being a team player, having experience as a Technical Director in a similar organization, who is looking for a rewarding career and wants to join a business that is growing, values integrity, has industry leading experience and is recognized as one of the top Façade Consultancy firms both national and internationally. Should have a minimum of 10 years’ technical experience working within the Façade Industry, with a minimum 5 Years’ experience working for a Façade Consultancy. Must be able to communicate clearly and professionally at a high level working with developers and architects. Have a clear understanding of the key Standards and Codes to the relevant line of work. Should be proficient on structural software such as RFEM, Strand, Staad Pro as well as Flixo Thermal software.